Our normal 20″ Trike Bike just got better…. Now with Electric Pedal Assist you can travel at speeds up to 25 km/h for up to 40 kms distance effortlessly as long as you move the pedals. Please allow me to explain how the Electric Trike Bike works. 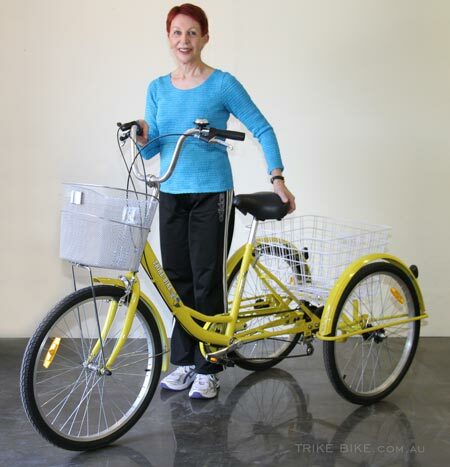 Our 20″ Trike Bike just got better…. Now with Electric Pedal Assist you can travel at speeds up to 25 km/h for up to 40 kms distance effortlessly as long as you move the pedals. Please allow me to explain how the Electric Trike Bike works. 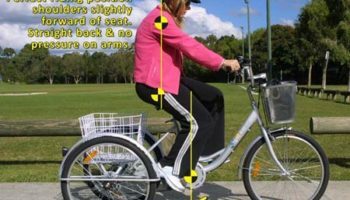 If a normal Trike or Bike was completely electrically operated it would need to be registered to comply with Australian Design Rules (ADR). 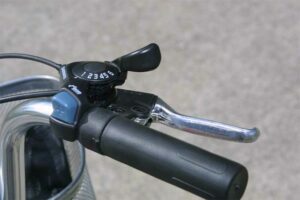 To maintain compliance our electric Trike Bike has a unique set of controls. 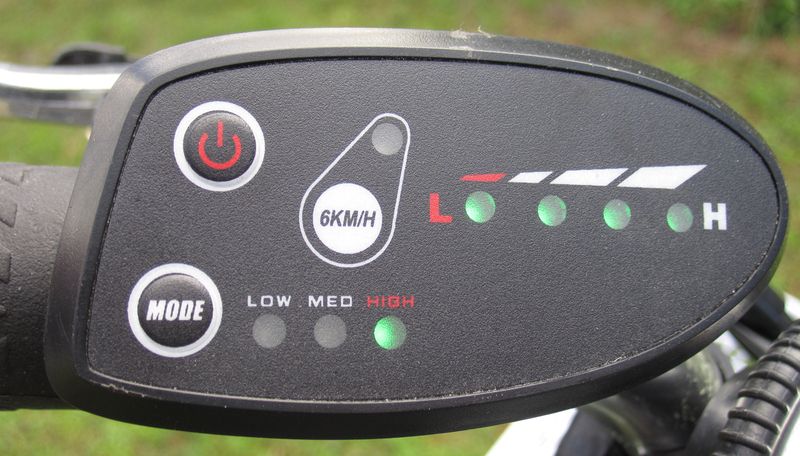 Press and hold one button on the keypad and the Trike will drive away at speeds up to 6 km/h (which is a fast walking pace). This is a speed limitation to remain legal for electric powered vehicles, lift your finger off the button or touch the brakes and power to the electric motor instantly ceases. To go any faster than this you need to select any of the four other settings and start pedaling the Trike. 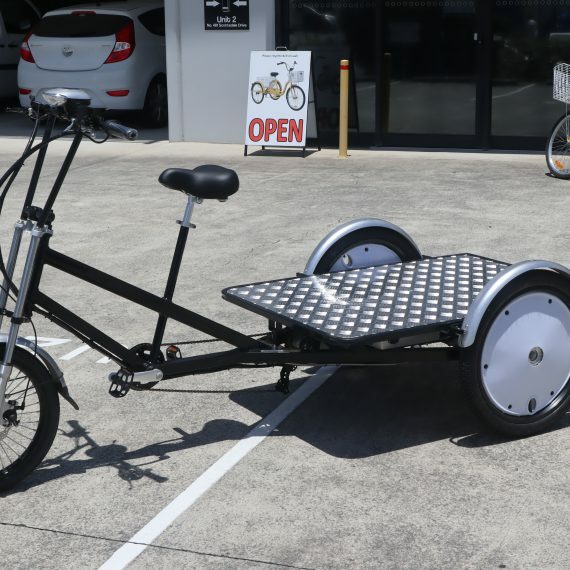 By pedaling the Trike you engage the electric assistance and with four different settings you can go from just a few kilometers per hour right up to the top speed of over 25 km/h. 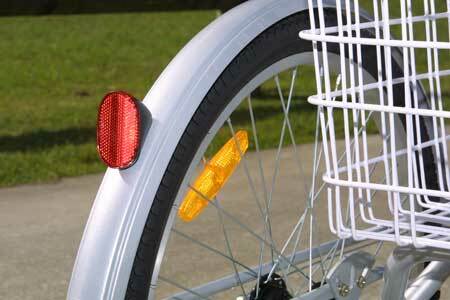 Stop pedaling or touch the brakes and the electric motor automatically disengages and the Trike starts to slow. 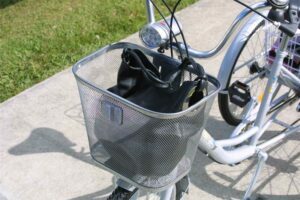 The important thing to note is you don’t have to pedal hard; just move the pedals and keep them moving and the electric motor stays engaged. You are now racing along and still getting a little bit of exercise also ! The electric motor is 250 watt and operates at 36 volts (the maximum legal limit in AU). The battery is lithium polymer and the manufacturer advises the expected life span is 10 years or 2000 recharge cycles, whichever comes first. 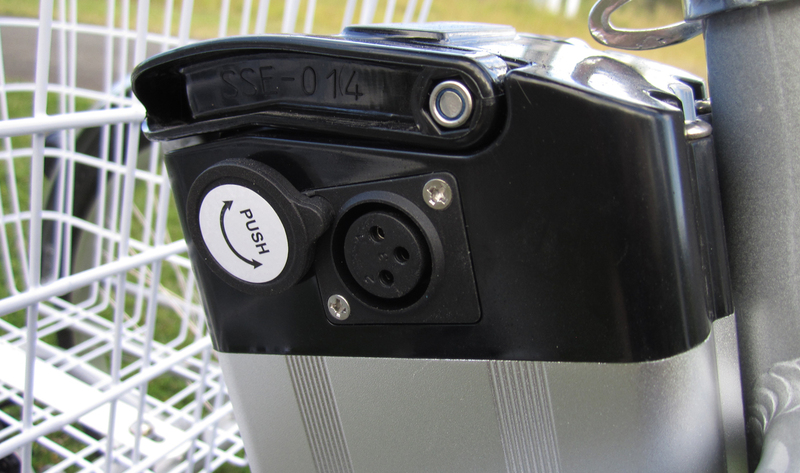 The electric Trike Bike is also supplied with a special power saving smart charger that can recharge in as little as 4 hours from flat. 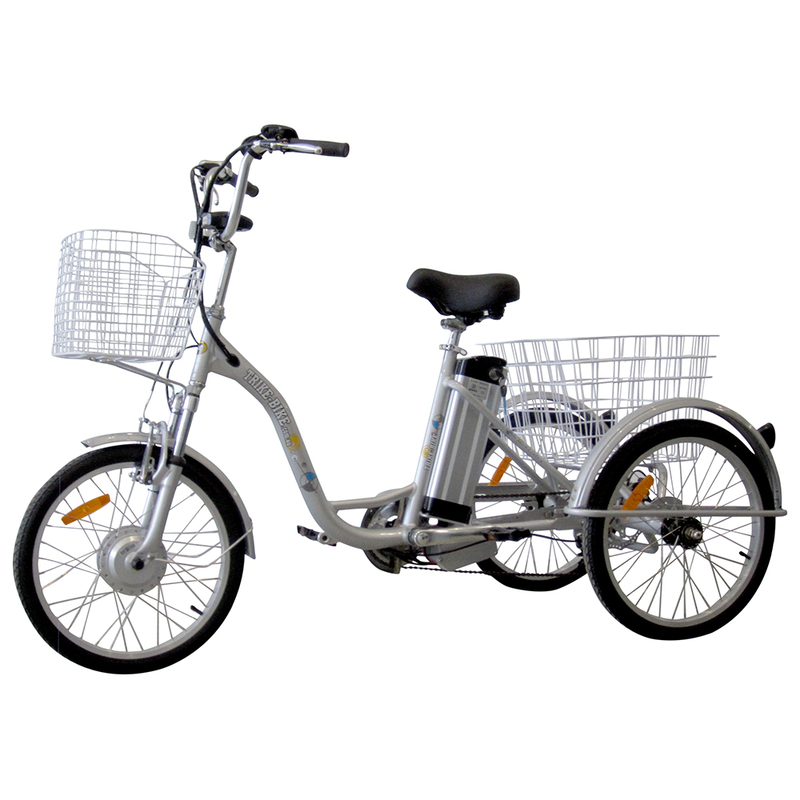 Our 20″ Electric Trike Bike is only available in Silver paint finish and now comes standard with front basket and front suspension! 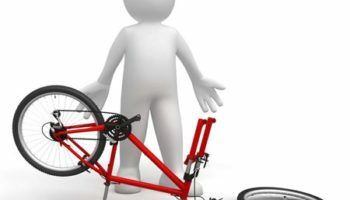 Nobody wants to be uncomfortable when riding a bicycle and as all humans are built almost the same there are some very important rules which must be followed to make a comfortable tricycle. For the best comfort your back should be just slightly forward of vertical. As can be seen in the photograph to the right, the center line of the shoulders is just marginally ahead of the centerline of the hips giving a very slight forward upper body tilt. The arms are bent comfortably forward just above the top of your hips meaning that there is almost no pressure being placed on the arms which is especially important for the elderly. 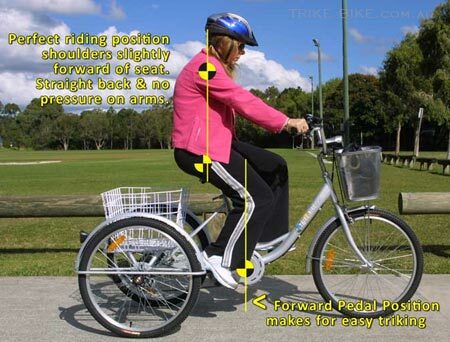 To make pedaling as easy as possible it has been proven that forward pedal positions are the best for recreational riding, the forward pedal position allows easy starts and helps you to put a large amount of your body weight through the pedal. 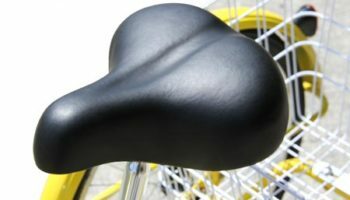 Our latest seat has foam and springs for suspension with special pads on each side of the seat to provide hours of riding in pain-free comfort. 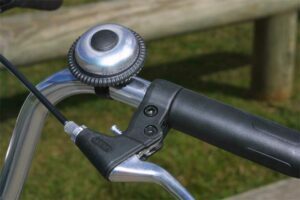 Comfort is very important and our Trike Bikes are fitted with a six speed gear system manufactured by Shimano making pedaling almost effortless at most times but especially up hills. 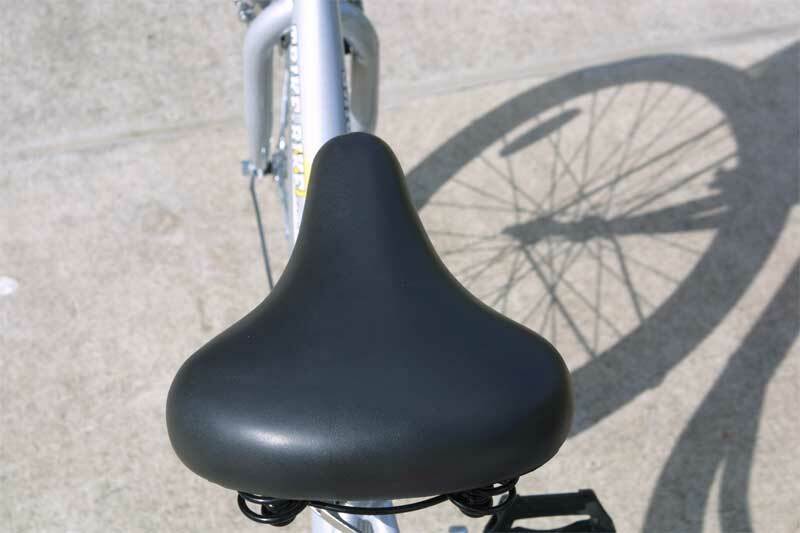 Your personal comfort is also catered for with a wide, comfortable and well padded seat to adequately and comfortably support those people who are a little bit overweight, are elderly or find normal push Bike seats too narrow to be comfortable. 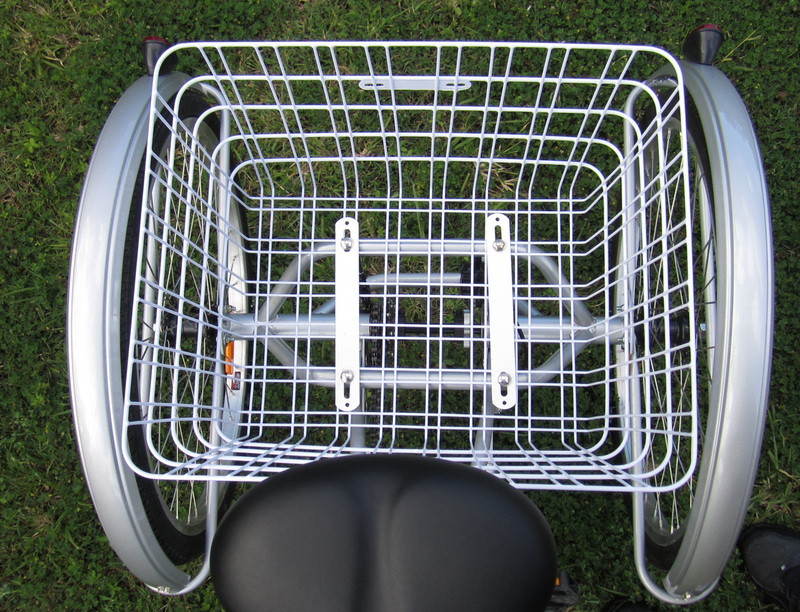 The rest of your body is also well catered for with a really low frame height allowing even people with restricted leg movement to get on and off the Trike Bike with ease. 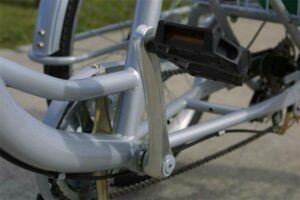 The seating position on a Trike Bike is extremely comfortable with a forward crank position for the pedals and a near-vertical seating position for your body doesn’t put any strain on your arms. 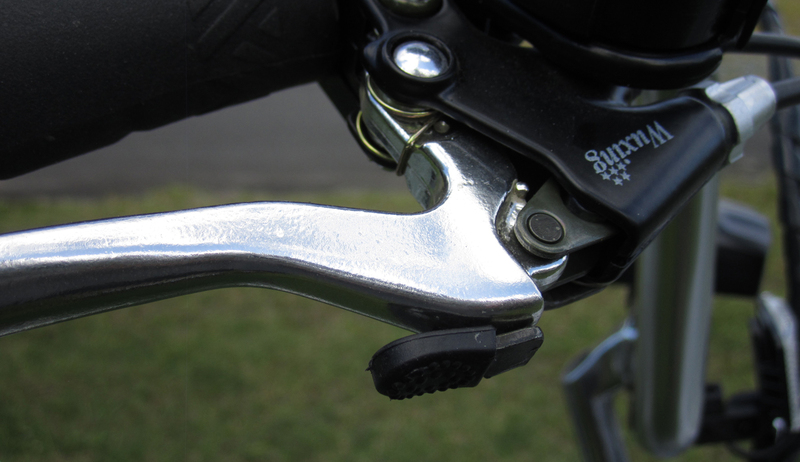 Finally all Trike Bikes have adjustable seat and handlebars heights as well as super soft and comfortable handgrips. 6 Speed Shimano gears and front brake are conveniently located on the right handlebar. 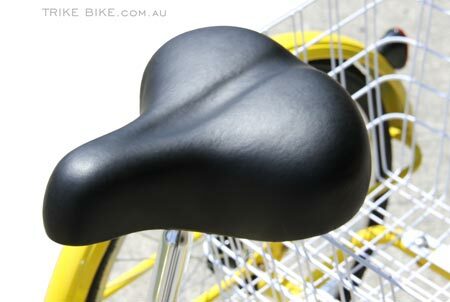 Bell and rear brake are located on the left handlebar, notice the super soft grips for added comfort. Wide seat for extra comfort with in-built springs for a smooth ride. 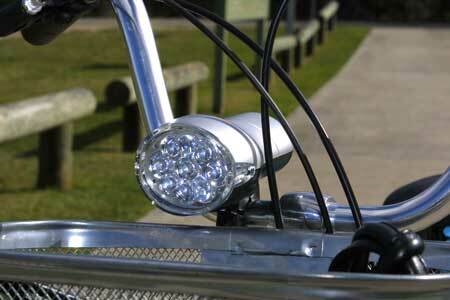 Safety is more important than anything else and a Trike Bike will look after you in so many ways. 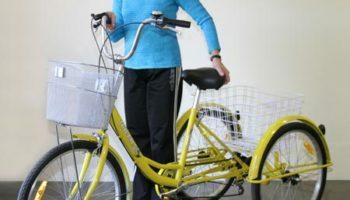 With the added stability of having a third wheel a Trike Bike is well-suited for the elderly, people with disabilities or balance problems, mums with young children and people wanting to carry a load, be it the groceries home from the supermarket or a tradesmen’s toolbox on a worksite. If it all goes bad on a Trike Bike all you need to do is apply the brakes and you will slowly come to a halt with the Trike Bike balancing on all three wheels. Visibility is extremely important and that is why we supply Trike Bikes in a wide selection of colours to stand out to other road users. 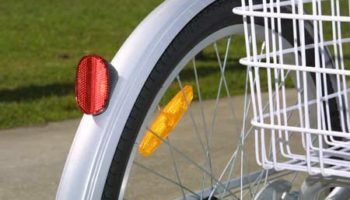 All Trike Bikes come with yellow wheel reflectors on all three wheels, yellow reflectors on the front and back of the pedals, a white reflector on the front handlebars, 2 rear red reflectors on the rear mud guards and a front battery operated LED headlight will light up the night but it also importantly a great visual alert for daytime riding because the headlight can be set to flash on and off continuously. 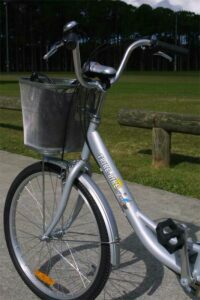 The Trike Bike is fitted with a chain cover to protect your clothing from being caught in the chain and sprocket, a bell is included for alerting pedestrians and finally one of the most important features, your Trike Bike is fitted with dual brakes that provide exceptional stopping power even when you are carrying a heavy load. Build quality is outstanding with our trike bikes having an aluminium frame (with lifetime warranty), front forks with suspension on our electric models, large 24 inch alloy wheels and off road tires provide exceptional tracking and grip on all surfaces and having a large wheels means that your trike bike is not susceptible to being damaged by obstacles on the roadway like some smaller tires. The trike bike features an aluminium three piece crank, quality bearings throughout and importantly mudguards on all three wheels to keep you dry in even wet conditions. The rear mud guards have special supports to ensure the durability and strength for many years of ownership. Large 24" inch wheels feature aluminium hubs, spokes and rims for a long rust-free life. 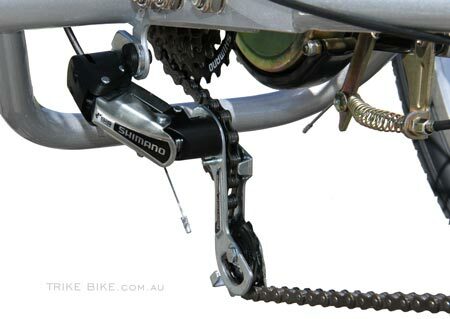 3 piece aluminium crank and quality bearings reinforces the build quality of a Trike-Bike. Easy entry with low frame height high well positioned handlebars takes all strain off the arms. Trike Bikes have genuine Shimano 7 speed gears for easy pedaling on flat ground and hills. 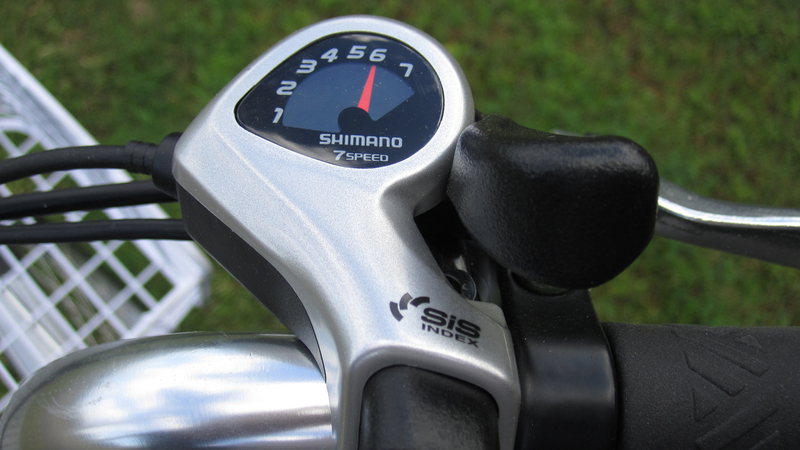 Our latest models have Shimano Tourney Smart Shift for effortless gear changing. Some sellers on eBay sell Trikes with just one gear. 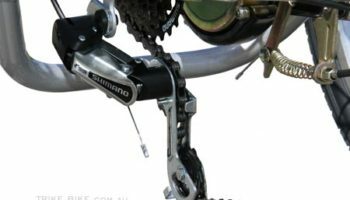 One gear is okay for perfectly flat ground but when you get to a hill, want to ride a bit faster or carry some luggage then you need more gears. 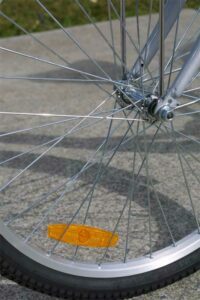 First and second gear on a Trike Bike are purposefully much lower than other Bikes. All Trikes weigh more than a normal pushbike and our special first and second gear ratio makes riding uphill a breeze. 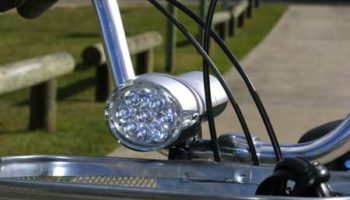 Trike Bike products carry a full 12 month warranty against manufacturing defects and faults for residential use and a 3 month warranty for commercial use. Courier: Most people have the unassembled Trike delivered by courier. 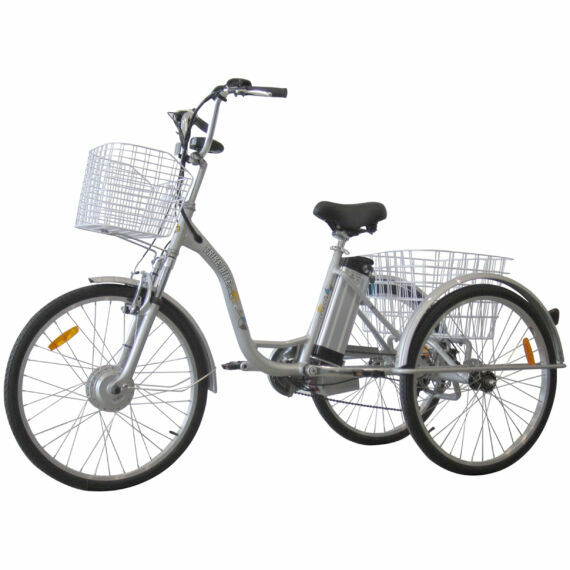 Your Trike Bike is supplied partly assembled in one large box and one smaller box. Drive in or Ride Away: Don’t have the skills to assemble the Trike Bike ? Let our skilled mechanic do the hard part for you. For just $100 we will assemble, test ride and tune your Trike Bike for years of enjoyment. 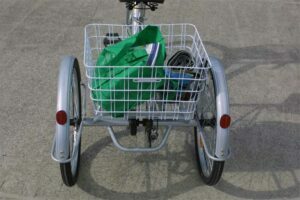 NOTE: You will need a ute or trailer to pickup an assembled Trike Bike, they are too large to fit into an SUV vehicle. Carrying capacity is one of the major benefits of owning a Trike Bike. A Trike Bike can carry a rider up to 150 kgs, with large baskets front and rear and a luggage carrying capacity of around 50 kg it is not unreasonable to expect your Trike Bike to become a real workhorse whatever the load may be and unlike a normal bicycle a Trike Bike wont fall over when loaded with goodies. 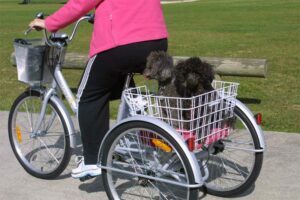 There is even enough room for the dogs to go triking! Note the sturdy rear mudguard supports. 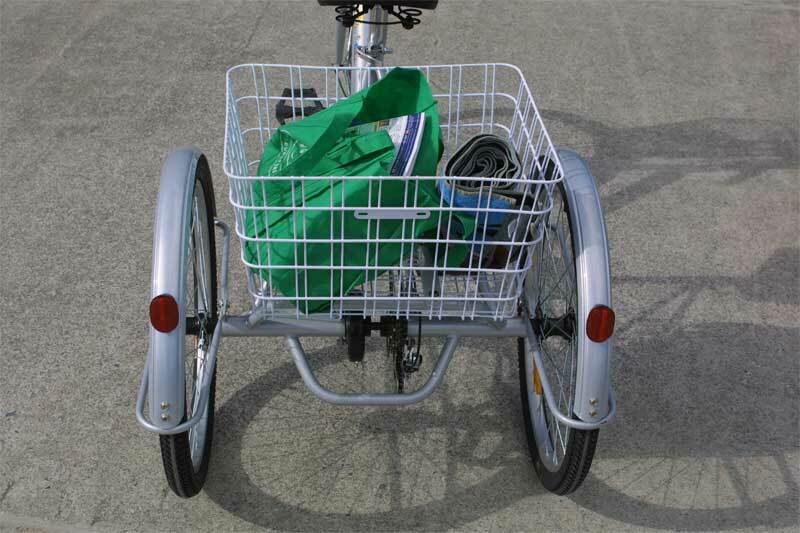 Large rear basket has plenty or room for the weekly shopping, a trip to the beach or a trip to the shops. Large front basket with reflector allows for storage of valuables in your vision at all times. Trike Bike parts are securely and individually wrapped in bubble wrap to prevent shipping damage, it is unlikely, but possible that there may be some slight damage or scratches to the parts when they arrive especially to remote location in outback areas, where the roads are rough and the boxes are handled many times. Whilst we do our absolute best to avoid any damage by using 7 layer cardboard boxes and have all parts wrapped in bubblewrap sometimes damage or scratches may occur. As part of the shipping process we take out insurance for up to $100 for shipping damage, this includes scratches caused by rough handling by the different couriers but its difficult to claim. 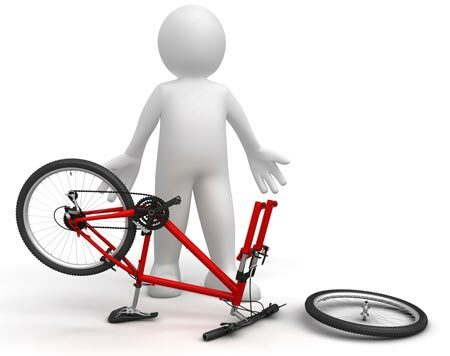 Please be aware of this fact when ordering your Bike, we will do our absolute best to help you should any damage occur but we are not responsible for shipping damage. Please, If you don’t agree to these shipping conditions then please don’t order. 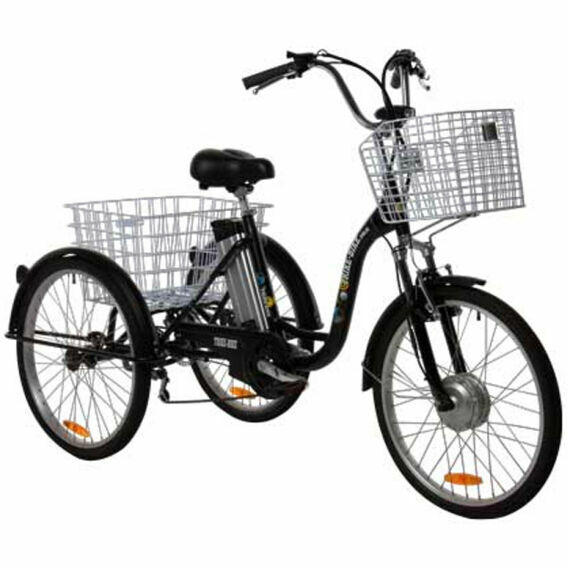 Trike Bike Australia is the exclusive importer of Trike Bikes into Australia. We are located about 80 kms South of Brisbane on Queensland’s Gold Coast in Varsity Lakes. We have several demonstration Trike Bikes assembled and ready for test rides before purchase, so please drop in and say hello.